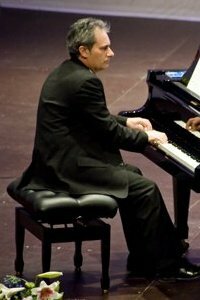 Maestro Madonna is president, pianist and deputy director of the group. He studied piano with maestros Luciano Michelini and Umberto De Margheriti and graduated at the Conservatory Lorenzo Perosi of Campobasso. He was student at the Pontifical Institute of Sacred Music, where he deepened his studies in composition, initially with Armando Renzi and later with Carlo Nazario Bellandi. He performs as an accompanist, particularly with childrens’ choirs and the female choir EOS. He Since 1983 he has been teaching music and piano at primary and secondary schools.